This funny golf towel is a great gift for the golfer. Premium quality golf towel made of 100 percent cotton with plush velour finish. 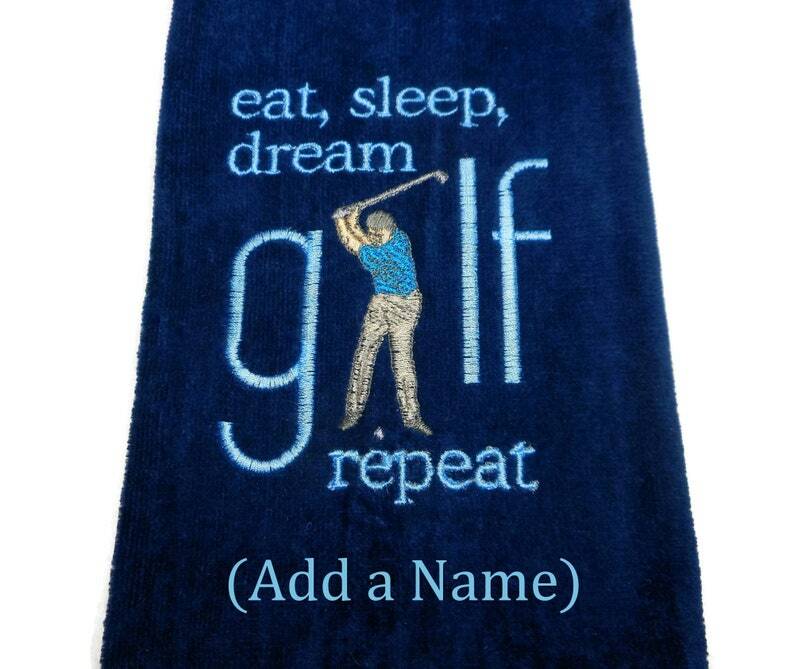 There is a golf taking a swing and a funny saying embroidered on this large sized thick towel. Eat, Sleep, Dream, Golf, Repeat. The design measures approximately 6 X 4 inches. If you would like the towel personalized, please leave the name in the note to seller box during checkout. Thread colors can be customized also. This tri fold, 100% cotton terry, 2-ply yarn velour golf towel is available in multiple colors.